American football is a mystery to me, but I have to assume it’s something extraordinary because all of the games surrounding it are. Frozen Cortex offered a masterclass in stripped-back simultaneous turn-based tactics earlier this year – and Blood Bowl has been brilliant for far longer, a slow dance of chance, positioning and bold plays. Blood Bowl 2 is certainly more beautiful, looking as it does like Friday Night Lights with longer tusks. And the hope is it’ll be sturdy enough that Cyanide can skip the bug-squashing phase of its predecessor and jump straight into post-launch team releases. Players who’ve pre-ordered can now find out by strapping on their helmets and hopping into its Steam beta. Humans, orcs, skaven, and dwarves are all available in multiplayer, the heart of the game, as well as against AI in one-off matches. 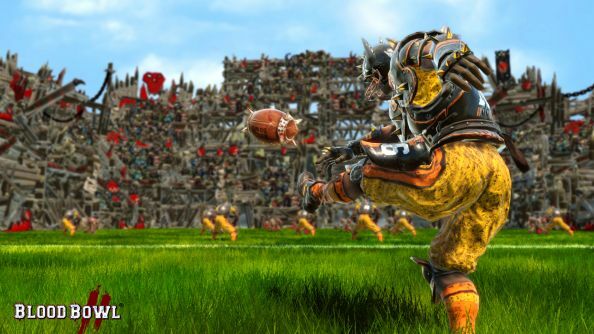 None of those are among Blood Bowl’s most entertaining races, but they are some of the most reliable – safe bets for beginners. Wood elves and lizardmen, my favourites, come as pre-order bonuses. Who do you play as?